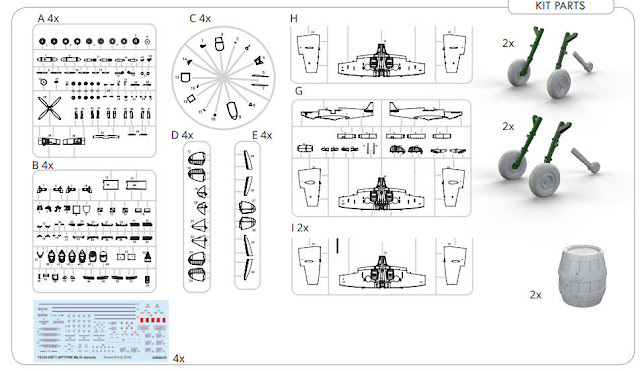 Quattro Combo Royal Class edition of Spit-fire Mk.IX in 72nd scale based on 2016 tool. Box contains plastic parts for 4 kits - Spitfire Mk.IXc (early + late) and Spitfire Mk.IXe. 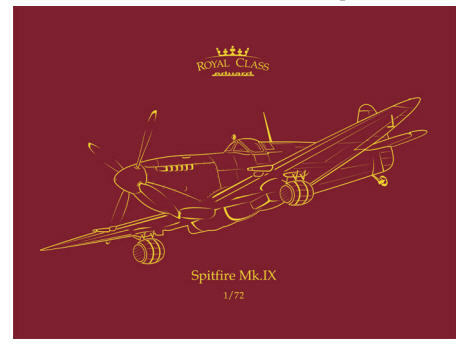 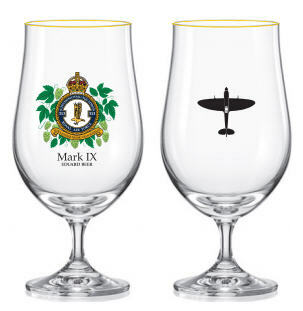 Bonus item of this Royal Class is a beer glass with Spitfire design.